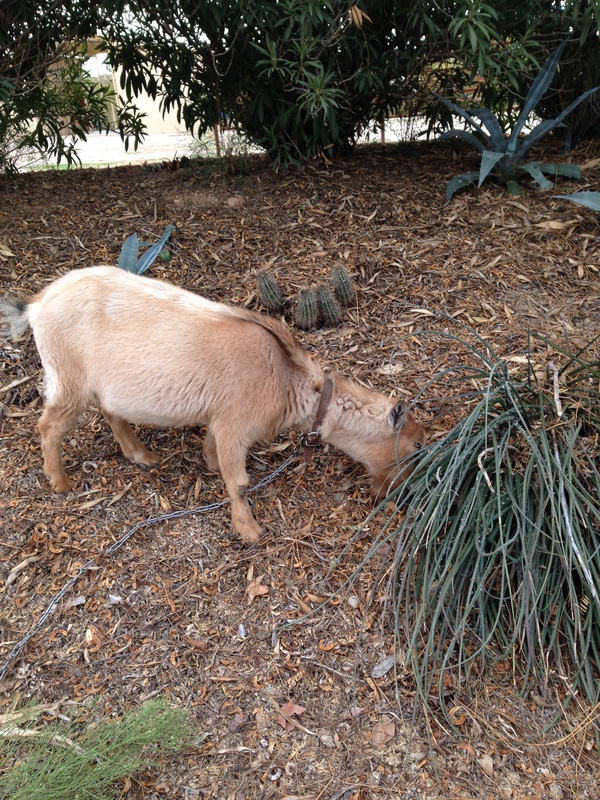 I’ve been giving away the cores and root ends of lettuce, cabbage and celery to my little goat. His name is Holiday. After making a pot of German red cabbage for my husband and lovely in-laws, I took a good look at my red cabbage core and noticed tiny little roots starting at the base. 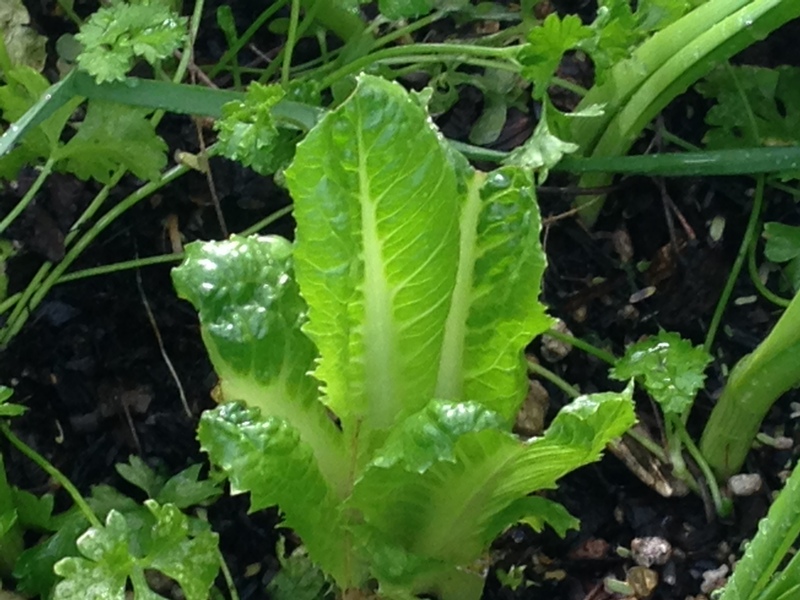 Upon closer examination, the same was true with celery stalk and romaine lettuce cores. 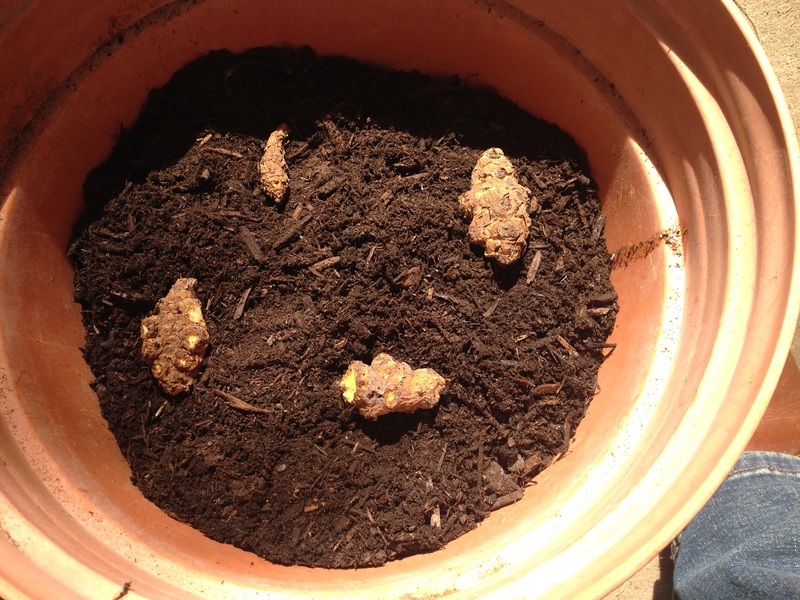 So I thought, nothing to lose, may as well plant them and see what happens. They sprouted! I don’t know why I was so surprised; they were sprouting in the greenhouse/field from where they came from. I used a very sharp knife to slice the thinnest sliver of flesh from the end – removing the browned- blunt cut area at the bottom. Two weeks later I have these darling little sprouts? You bet I’ll be saving iceberg and green cabbage cores too. Our dog, Sven, loves the cabbage cores and won’t know why he’s suddenly cut off. 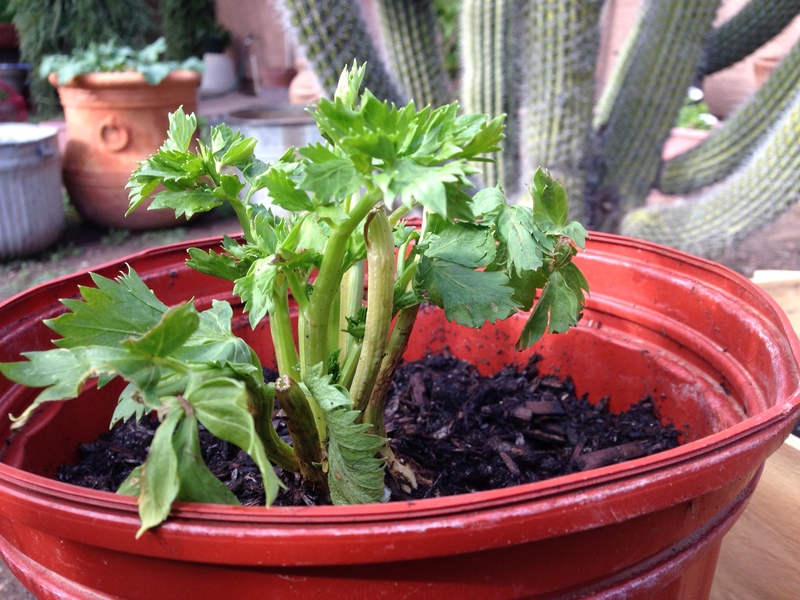 Celeriac: With a location on my kitchen counter, new white roots grew in the water and the greens stayed fresh. I planted it into a container with organic mulch and into my sunniest location. 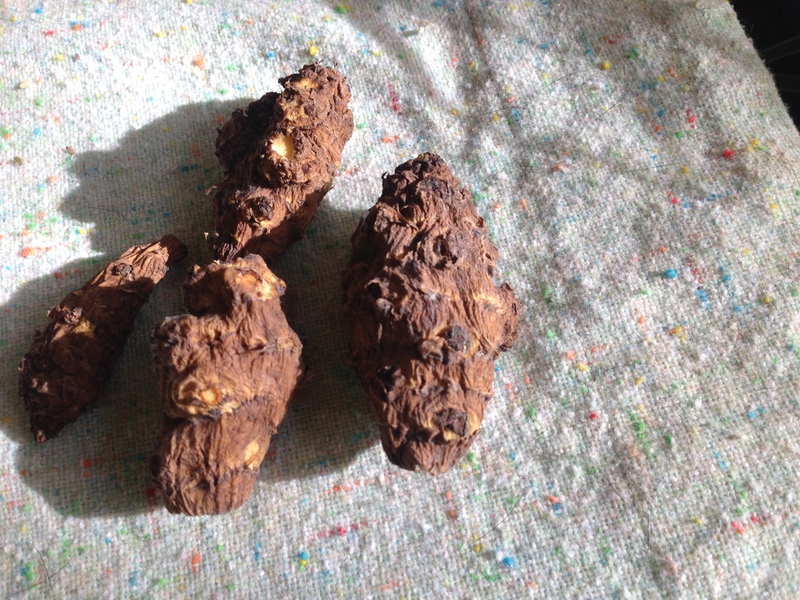 Jerusalem artichoke: Shriveled up in the brown bag in the dark cupboard. No signs of life. I planted them into a container with organic mulch and into my sunniest location hoping for the best. If it doesn’t work, I’m buying more at the grocery store and planting again. I will overcome!!! 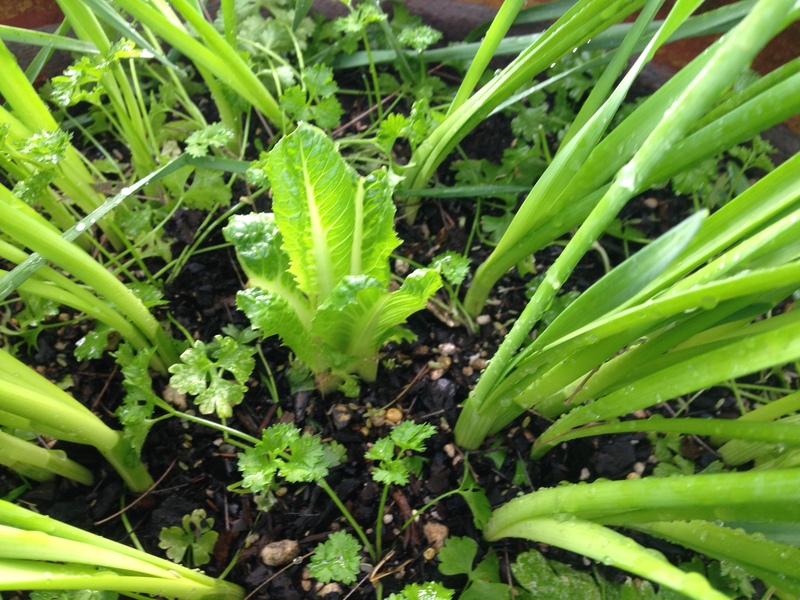 I found these baby Romain lettuce in a bowl of parsley and Paperwhite narcissus bulbs after I made my original post this morning. I tuck them in wherever there’s a bare spot in the soil. So far today I’ve also planted organic heirloom Brandywine tomato seed, and both gigantic and bronze sunflower seed in small pots.